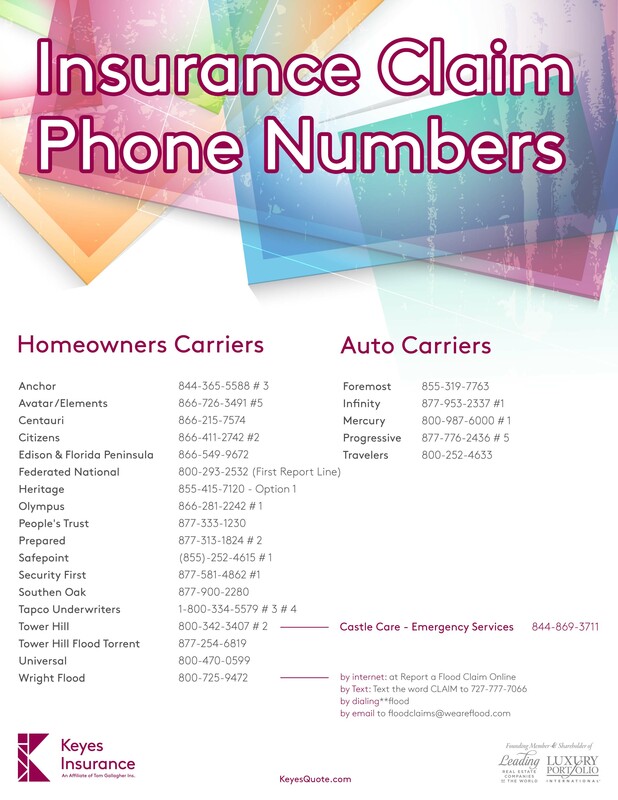 To receive the most rapid, effective process to any claims from Hurricane Irma please contact your carrier directly to initiate the claims process. 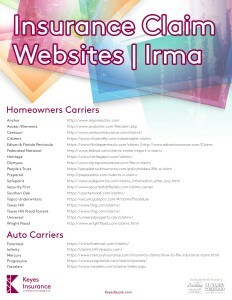 Attached you will find a list of carriers and pertinent contact information. 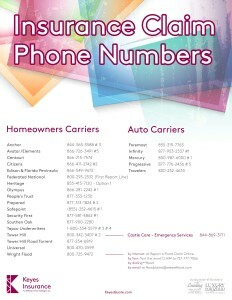 Please note that we will be working diligently to be available as early as possible following the storm.